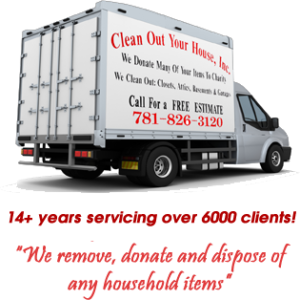 Rubbish Removal – Clean Out Your House Inc.
We take out all rubbish, household wastes, paints, furniture or other useless "unwanted stuff". We will either remove it or if the amount of rubbish is large we will have a dumpster delivered to your home. We remove everything you don't need or want and dispose of it properly and safely. All HAZARDOUS WASTE PRODUCTS are separated and disposed of per EPA guidelines. All RECYCLABLE MATERIALS ARE SEPARATED AND RECYCLED FOR REUSE. Many items you see as rubbish, clutter, or unwanted stuff, are needed by charities. We will set aside things that may be needed by charities we sponsor. We then will provide you receipts for tax purposes on items brought to charities.